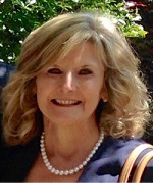 Dr. Christy Tirrell-Corbin, Clinical Professor in the Department of Human Development and Quantitative Methodology (HDQM) and Executive Director of CECEI at the University of Maryland, has been appointed by Governor Hogan for a three-year term on the Maryland State Interagency Coordinating Council (SICC). The Council acts to ensure access to developmental and educational services is available to all children with disabilities, from birth through age 5, and their families. Learn more in this College of Education news post. CECEI will conduct the external evaluation of the W. K. Kellogg Foundation Grant (Phase II) project, which supported the expansion of Maryland’s Family Engagement Initiatives in Maryland and other states. The evaluation will inform the public about the extent to which the implementation of family engagement strategies in Maryland has improved family engagement quality among parents and family members, and assess the fulfillment of three intended project outcomes: 1. Improve school readiness of vulnerable children by improving family engagement practices and supporting service providers, 2. Create a cohort of parent advocates and leaders to improve parental leadership skills, and 3. Improve state family engagement practices through a State Consortium on Family Engagement. Supporting Young Children’s Brain Development: The first years of children's lives are some of the most important when it comes to development and learning. Children’s bodies are rapidly developing, and one of the most critical aspects of their development is their brain growth. Fortunately, others can make a difference in the way young children’s brains develop. Learn more in this blog post. The Value of Play for Children’s Learning: Dr. Elisa L. Klein discusses the importance of play and developmentally appropriate practices in early childhood education. Read this blog post to learn more. CECEI researchers, with Dr. Christy Tirrell-Corbin as Principal Investigator, will examine the Improvement Science (IS) process in four CCSSO partner states around an overall problem of practice (i.e., high quality early childhood instruction). CECEI will examine each State Education Agency’s (SEA) strategic goals, engagement across the four states, and the processes and relationships established between state education agencies and system/school-based inquiry teams. Universal Design for Learning Brings Accessibility to Early Childhood Education: Dr. Joan Lieber discusses the origins and underlying principles of Universal Design for Learning and ways it can be implemented in the early childhood classroom. Read this blog post to learn more. 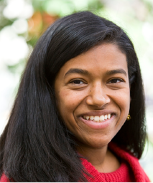 Promoting Math Skills in Early Childhood: We recently interviewed Dr. Geetha Ramani, a Faculty Affiliate at CECEI, about her research, the importance of promoting math skills for young children, and ways parents and professionals can help children develop math skills. Read the article to learn more. CECEI Researcher Awarded Grant to Study Family Influences on Effectiveness of Pre-kindergarten Program: Dr. Brenda Jones-Harden has received a grant from the Brady Education Foundation to extend the evaluation of Maryland's Pre-kindergarten Expansion program. The project seeks to determine the benefits of the Pre-K program on low-income children in Baltimore City Public Schools. 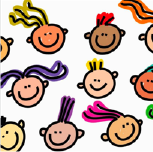 The specific aims of the Brady-funded project are: 1) to examine the moderating role of family factors (including protective factors) in the impact of Pre-kindergarten on participant children; and 2) to explore if and how the Pre-kindergarten experience buffers children against the impact of toxic stress. 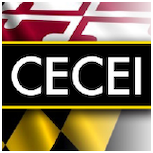 CECEI Awarded Grant for Phase 3 of Study of Birth to Five Service Delivery Models in Maryland: CECEI has received a grant from the Maryland State Department of Education in support of the third phase of an evaluation of Maryland’s early intervention and preschool special education service delivery models. We have completed Phase 1 and Phase 2 of this study. Phase 3 involves two components. The first is conducting a qualitative assessment of jurisdictions’ choices of service delivery methods. The second component is providing technical assistance and professional development in evidence-based teaming practices and models for the comprehensive delivery of birth-to-Kindergarten services. Bainum Family Fund Supports Development of Trauma-Sensitive Curriculum: CECEI thanks the Bainum Family Fund for providing funding to support the development of a trauma-sensitive curriculum. Recent findings have shown the extent of how traumatic experiences affect children’s brain structures and socio-emotional functioning. Therefore, training to help educators address the learning needs of young children who have experienced trauma is sorely needed. CECEI Receives Grant to Develop Preschool Curriculum: CECEI was recently awarded a grant by the Maryland State Department of Education to develop a project-based preschool curriculum. Titled “Children Study Their World”, this curriculum will integrate all areas of learning and focus on the processes of inquiry and child-directed investigation. 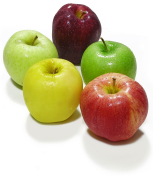 The finished product will be app-based and free to use for preschool providers throughout the state of Maryland. CECEI is currently hiring. See our Career Opportunities page for more information on available positions.